The thousand year reign of Christ is when He establishes His Kingdom on Earth. The Lord will establish everlasting righteousness (Daniel 9:24). The prophecy found in Mathew 6:10, will be fulfilled during the thousand year reign of Christ; thy Kingdom come thy will be done on earth as it is in Heaven. Adonai laughs at the wicked: for he sees their day is coming. The use of the word Lord, in reference to Yahshua, as Adonai, is used just once in Psalms 37. He scornfully laughs at those that do not know of their demise that will come like a whirlwind. Adonai does not sit at the right hand of God, He is the right hand or power of God. He will destroy the power of the kings of the earth when He returns to unleash his wrath and establish a Thousand Year Reign (Psalms 110:5). The wicked, who are corrupters will be removed from Yahshua’s holy mountain, for the earth shall be full of the knowledge of the Lord, as the waters cover the sea (Isaiah 11:9). Isaiah 11:11 And it shall come to pass in that day, that the Lord (Adonai) shall set his hand again the second time to recover the remnant of his people, which shall be left, from Assyria, and from Egypt, and from Pathros, and from Cush, and from Elam, and from Shinar, and from Hamath, and from the islands of the sea. At the onset of the thousand year reign of Christ, our Messiah will swallow up death in victory. Our Lord Adonai will wipe away the tears of His people. Their sorrow and mourning will be replaced gladness and joy (Isa 51:11). And it shall be said in that day, this is our God (Elohim) we have waited for our Savior; this is Yahweh whom we have waited for; we will be glad and rejoice in Yahshua (Isaiah 25:9) . To fully understand the true interpretation of Isaiah 25:9, we need to comprehend that there is but one true God who was manifest in the flesh. The articles listed below will assist in that endeavor. These advanced study guides at christiantruthproject.com, are now available click here for the link. There are several Bible verses that seem to describe the complete annihilation of planet earth at the end of this age. Although there will be significant destruction that occurs during the end of this age, the earth is not completely destroyed. Yahshua will return to restore and rebuild His Kingdom. Would the Lord God that Created all things, desire the second gathering of Israel to inherit destruction? The judgment is primarily against the ungodly men, who are the workers of iniquity. The earth (or land) and the works that are therein shall be burnt up, but we look for new heavens and a new earth, wherein dwells righteousness (2 Peter 3:10-13). We must not forget Christ’s promise to the Elect that His Kingdom will be established on earth. Matt 13:39-40 The enemy that sowed them is the devil; the harvest is the end of the world; and the reapers are the angels. As therefore the tares are gathered and burned in the fire; so shall it be in the end of this world. 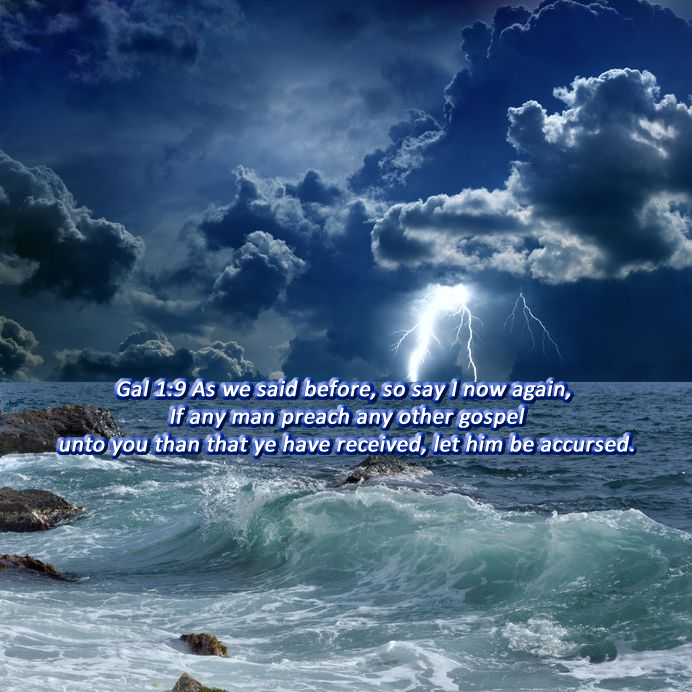 As it was in the days of Lot and Noah, so shall it also be when Christ returns. He will destroy all of the wicked. The ones that are left behind are considered righteous and faithful, and they represent the second gathering of Israel. Those that are taken represent the workers of iniquity. The pre-tribulation rapture deception most assuredly is not something that Christ ever alluded to. 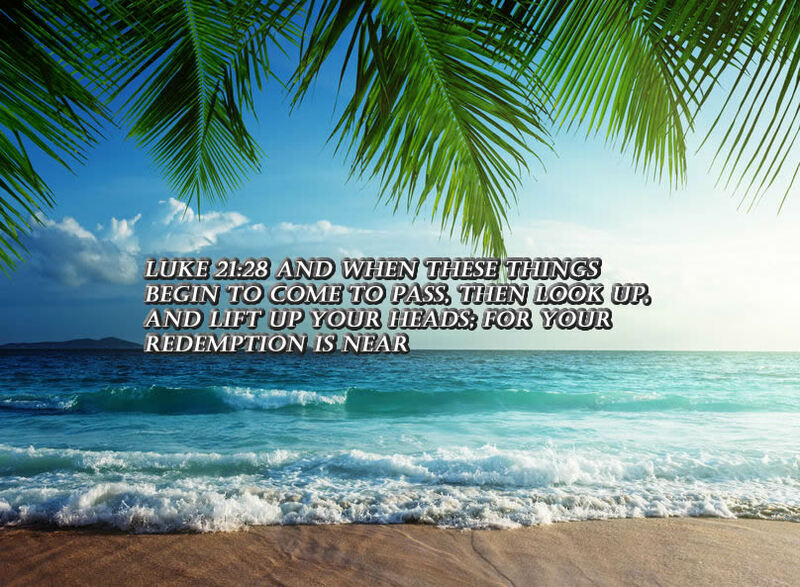 At the end of the Great Tribulation period, which is three and a half years in duration, the rapture or gathering of the Elect unto Christ will occur (Luke 17:26-37). This Rapture unto the Lord is when the Elect will reign with the Lord on earth for 1000 years. Isaiah 65:17-18 For, behold, I create new heavens and a new earth: and the former shall not be remembered, nor come into mind. But be ye glad and rejoice for ever in that which I create: for, behold, I create Jerusalem a rejoicing, and her people a joy. The gathering of Israel will involve a new creation by the Lord. The people will build houses, and they shall plant vineyards, and eat the fruit of thereof. In the second creation, after the thousand year reign of Christ, the Lord provides His people with a complete city already built for them called the New Jerusalem (Isaiah 65:21-22; Rev 21:10-23). The curse has devoured the earth (or land), and they that dwell therein are desolate, therefore the inhabitants of the earth are melted (or burnt like kindling), and there are few men left (Isaiah 24:6). However Christ will bring about the promised gathering of Israel, and the righteous shall shine as the sun (Mat 13:43). The Lord will Reign in Mount Zion, which is in Jerusalem. Isaiah 24:23 Then the moon shall be confounded, and the sun ashamed, when the Lord of hosts shall reign in mount Zion, and in Jerusalem, and before his ancients gloriously. Look up to the heavens, and look upon the earth below, for the heavens shall vanish away like smoke, and the earth will become old like a garment, and they that dwell therein shall die in like manner…(Isaiah 51:6). The true gathering of Israel, will not be a temporary time of Joy, it will be unto everlasting life with Yahshua. Isaiah 51:11 Therefore the redeemed of Yahweh shall return, and come with singing unto Zion; and everlasting joy shall be upon their head: they shall obtain gladness and joy; and sorrow and mourning shall flee away. The Redeemed of the Lord represents the second gathering of Israel unto Redemption, which is the promise of Salvation realized upon the return of Yahshua. God who in the past spoke to us through His prophets, has in these last days spoken unto us by means of the Son. During the Thousand Year Reign of Christ, He who is appointed as heir of all things will also be recognized as the one who made all things (Heb 1:1-2). The Thousand Year Reign of Christ is a literal event that occurs upon this present earth with the existing heavens and seas, although there will be many changes that occur. There are only two complete creation events, and a restoration of the first creation is necessary to repair the damage done to what once was a beautiful planet. In the first creation, God created the heavens and the earth (Gen 1:1). Mankind can choose evil or righteousness during this time period. After the Thousand Year Reign of Christ occurs the existing Heaven and Earth will fade away. Then shall the New Jerusalem that Yahshua has prepared for His children be revealed. This final and eternal destination is reserved for His Elect. The righteous will enter into a timeless, sinless and eternal fellowship with Him. There are many unique features of this second creation, that are very different from that of the first. There is no more sea (Rev 21:1). The first heaven and earth are replaced by the second after the millennial reign of Christ, and the New Jerusalem descends from Heaven (Rev 21:2). There is no longer a sun nor a moon (Rev 21:23). There is no longer night or darkness (Rev 21:25). The only ones who occupy New Jerusalem are those whose names are written in the Lambs Book of Life (Rev 21:27). There shall be no more curse (Rev 22:3). The righteous shall have access to the Tree of Life (Rev 22:2). 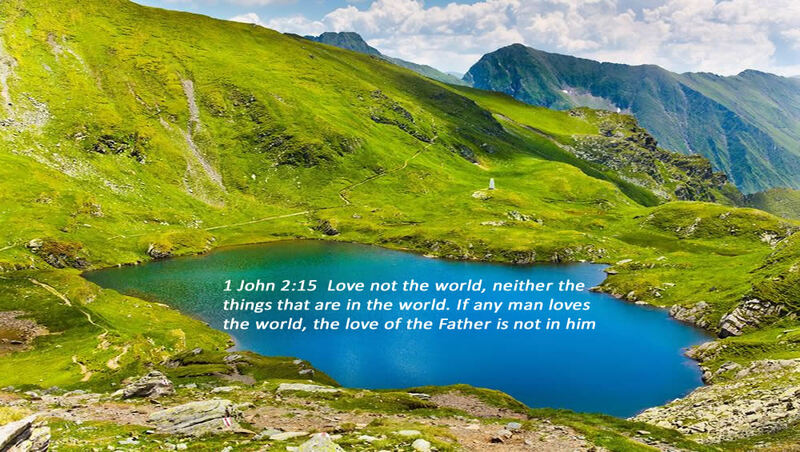 During the Thousand Year Reign of Christ, there are several characteristics that show that this creation of a new heaven and earth (or land), is a restoration of the first creation, and not the second creation. We look forward to a new heaven and earth where Christ will bring in everlasting righteousness (2 Peter 3:13; Dan 9:24). There are seas during this time period, but the second earth has the River of the Water of Life (Rev 20:13; Rev 21:1; Rev 22:1, 2, 17). There still are tears shed, sorrow to be had, and death still occurs (Rev 21:4; Isa 65:20). This time is an answer to our prayer: thy Kingdom come, thy will be done on earth as it is in Heaven (Mathew 6:10). The Elect will receive a crown of righteousness, which the Lord, the righteous judge, shall give to all that love his appearing (2 Tim 4:8). There are still seasons (Zec 14:8). The remnant of the nations that came against Jerusalem will come to worship Christ in Jerusalem (Zec 14:16-17). Not all reign with Christ and those that disobey will be punished ( Zec 14:17-19). Those of the nations will learn the ways of the Lord (Isa 2:2-3). During the Thousand Year Reign of Christ, those who were slain for His Word live and reign with Him (Rev 20:4). This is the promised inheritance that the Elect who are Sealed with the Holy Spirit receive at His coming (Eph 1:13; Eph 3:6; 1 John 2:25). Gal 3:14 That the blessing of Abraham might come on the Gentiles through Yahshua the Messiah that we might receive the promise of the Spirit through faith. The great flood was necessary to remove all things that were an offense to God. Likewise, at the Thousand Year Reign of Christ, the new heavens and earth that He creates at His second coming are cleansed of iniquity and all things that offend. The Thousand Year Reign of Christ is a time for the Redeemed that will Inherit Zion. The Elect who are also God’s chosen ones will take part in the true second gathering of the Israel of God.